Hey y'all! Long time no see! But I'm back now after a crazy three weeks of recruitment and first week of classes with this fun, end of summer look from Scoobie. Like I said above, sorry about being MIA for almost three weeks! Life just got too crazy between sorority recruitment and my first week back to classes. I just needed some time to get reacclimated to life in Manhattan, but I'm determined to stay on top of things this year. Below are some pictures from my last few weeks! OMG! 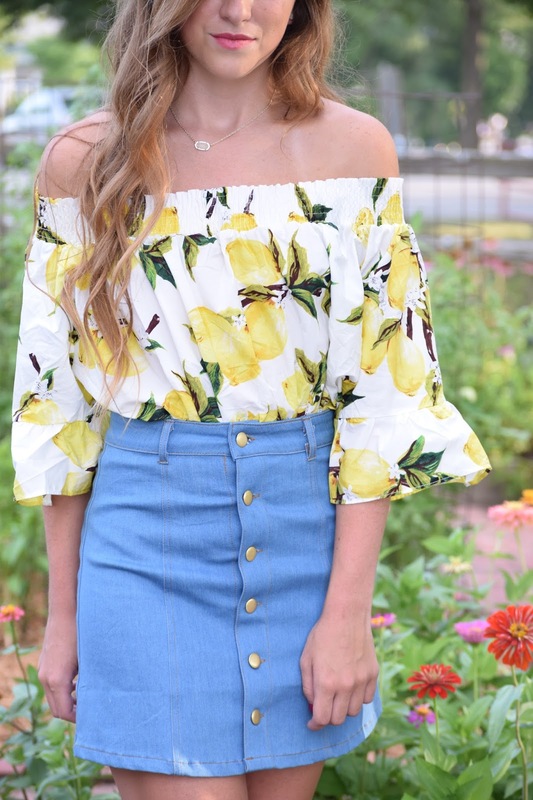 The top and the skirt - both are gorgeous!! 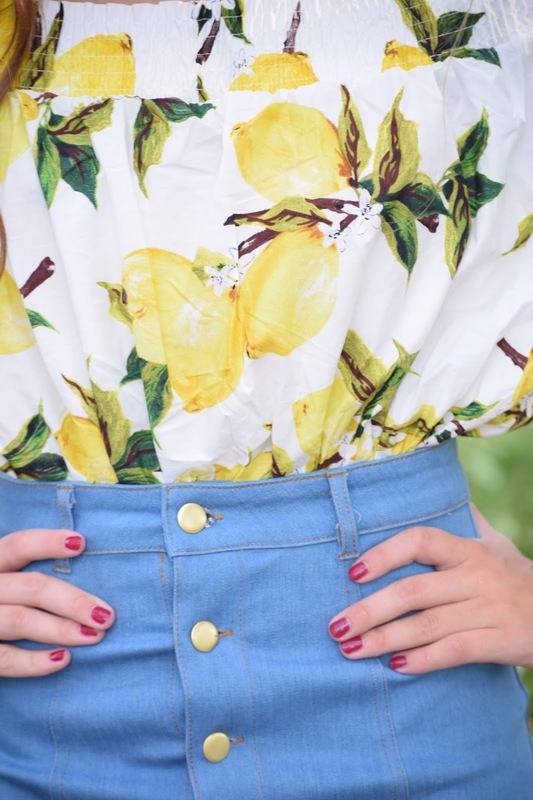 I have a dress with lemon print <3 so cute!